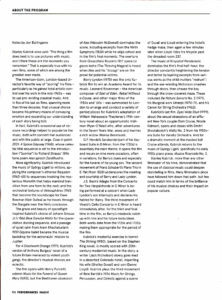 It’s always a pleasure to write program notes for the Los Angeles Philharmonic. It’s one of the nation’s leading orchestras, and these extraordinary musicians perform in one of the world’s great music spaces, the Walt Disney Concert Hall. 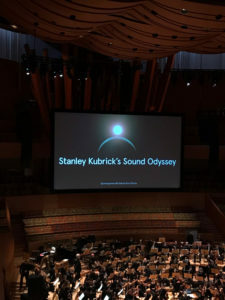 This past weekend the Phil (along with the Los Angeles Master Chorale) performed excerpts from the classical pieces chosen by director Stanley Kubrick for five of his films — 2001: A Space Odyssey, A Clockwork Orange, Barry Lyndon, The Shining and Eyes Wide Shut — and, in a first for these films, they played the music live to picture. Jessica Cottis conducted. 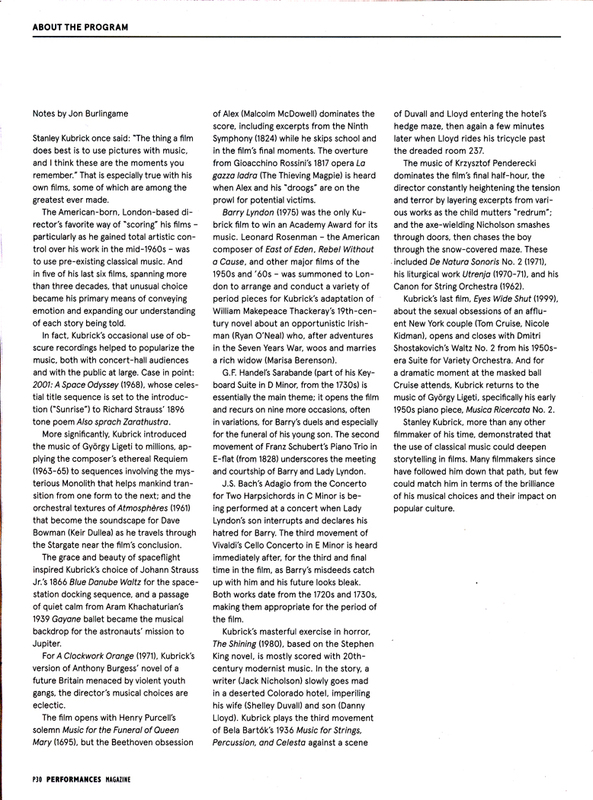 In addition to writing the program notes (you can click on the image at right to read them), it was great fun to write the script for host Malcolm McDowell — who augmented my music and film commentary with some truly hilarious anecdotes about working with the legendary director. It was especially exciting to experience the opening of 2001, with its now iconic Richard Strauss Also Sprach Zarathustra, along with Gyorgi Ligeti’s eerie Requiem for scenes of the monolith on the Moon; and my favorite themes from Barry Lyndon, adapted from the original Handel and Schubert by Leonard Rosenman (who won an Oscar for his work, the only time a Kubrick music score was so acknowledged). 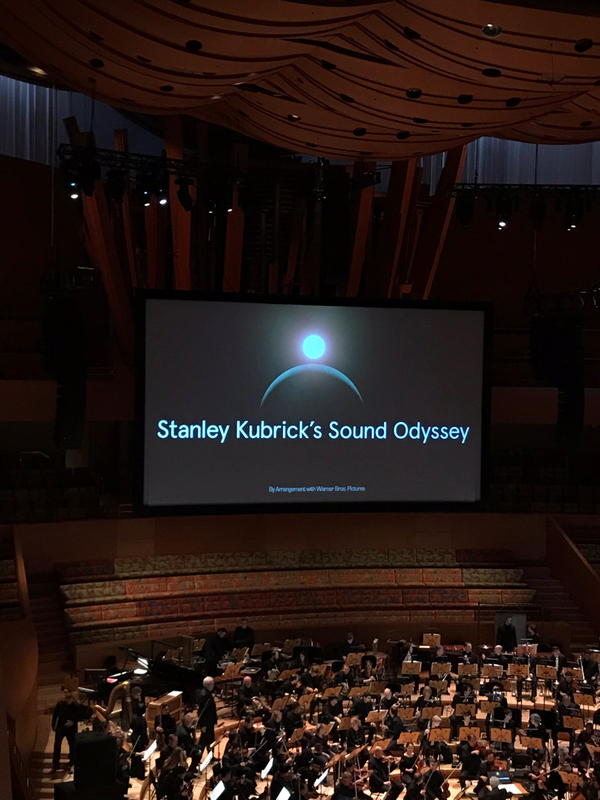 This entry was posted in Composers, Film Music and tagged Jessica Cottis, LA Phil program notes, Los Angeles Philharmonic, Malcolm McDowell, Stanley Kubrick's Sound Odyssey on November 25, 2018 by Jon Burlingame.